Click on the above image to open the photo gallery. This project was created as an Interaction Design experiment. 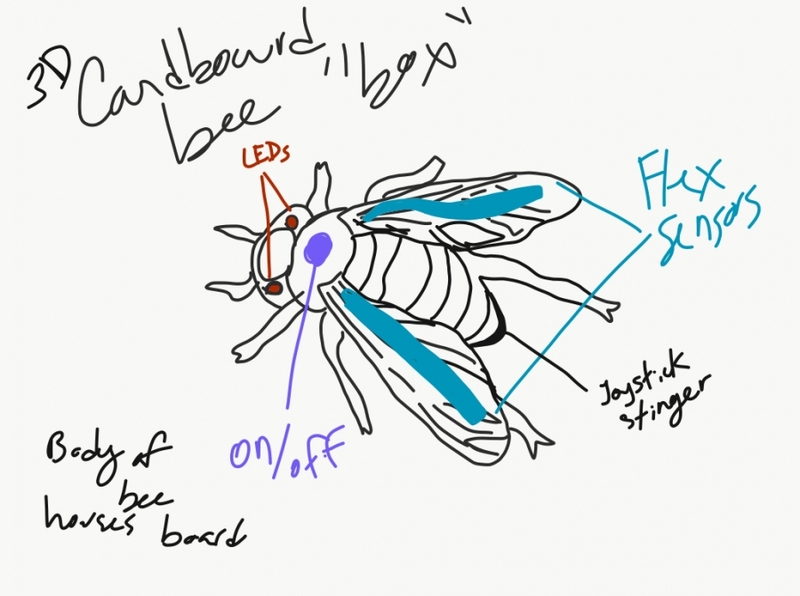 Using a laser-cut bee body as the main form, I added LEDs and a Protoboard with an APC circuit. When the stinger of this small sculpture is flipped on, the bee's eyes light up and the buzzing sounds change pitch when the wings are moved. 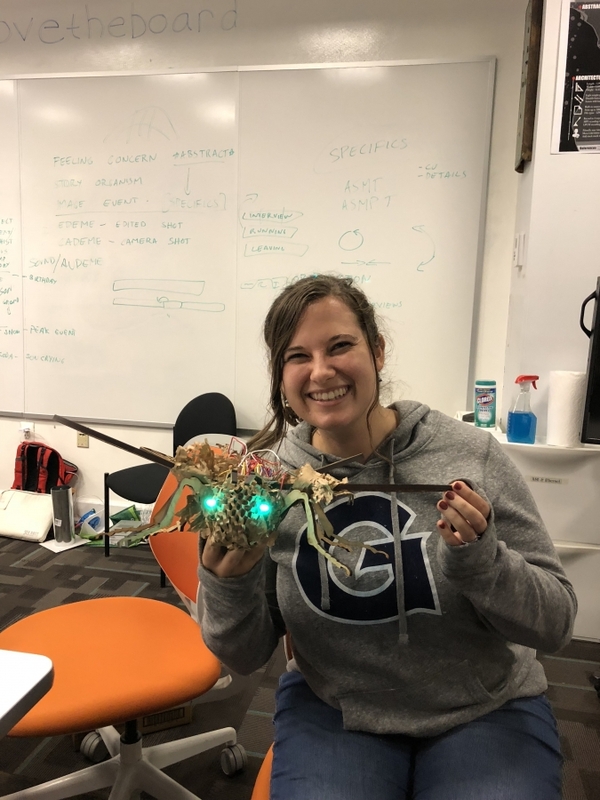 Your project must have been created using Gelardin or Maker Hub resources, spaces, or staff assistance to be eligible.